Siguiendo un poco con el tema de “Fiestas que debo ir antes de morir” esta esta alemana, Nature One, es todo un finde de mucha joda y electronica, durmiendo en carpa junto a unos miles de personas de todos los rincones del mundo. La organizan varios clubs reconocidos, con un line-up de djs super reconocidos. Es una onda Street Parade (Zurich), Reverze (Belgica) o mas conocidas Love Parade y Mayday (Alemania), capas proximamente ponga infomarcion sobre estas, pero la de hoy es esta ya que es ahora a principios de aogosto; hay que admitir que haciendo fiestas rave los europeos ya la tienen clara, en especial los alemanes. La verdad no encontre infomarcion en español, y no les voy a traducir (vean las imagenes en toido caso, q es lo que importa jaja), tampoco es importante pero es para que tenga una idea de lo que se trata. 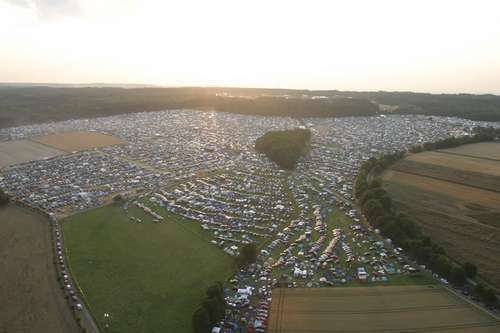 The Nature One is a large open air Techno festival, featuring many renowned Djs from Germany and all over the world. The only real damage to nature occurs by the trampling of the grass on the bunker hills and the fields used for camping (the crops have always been harvested by the time the festival starts). As special attraction there is a Fireworks display on Saturday evening. The festival lasts for one extended weekend each year always at the first weekend of August. In 2004 the festival had an attendance of approx. 53,000, with over 40,000 using the nearby fields for camping the whole weekend (officially allowed and organized by the Nature One staff). The camping ground has always been the second festival, with many hobby-DJs and some commercially organized trucks, loaded with generators and fuel, the equipment rivaling small clubs in turntables, speakers sometimes even lighting. Some people who are either non willing or unable to pay for admission to the festival area use this fact to have a cheaper alternative festival weekend. The festival itself is structured into a few “main floors” called Open Air Floor and Century Circus each for a few thousand, Groovalistic Garden, and a few smaller areas, sometimes manned by techno club crews for a few hundred. 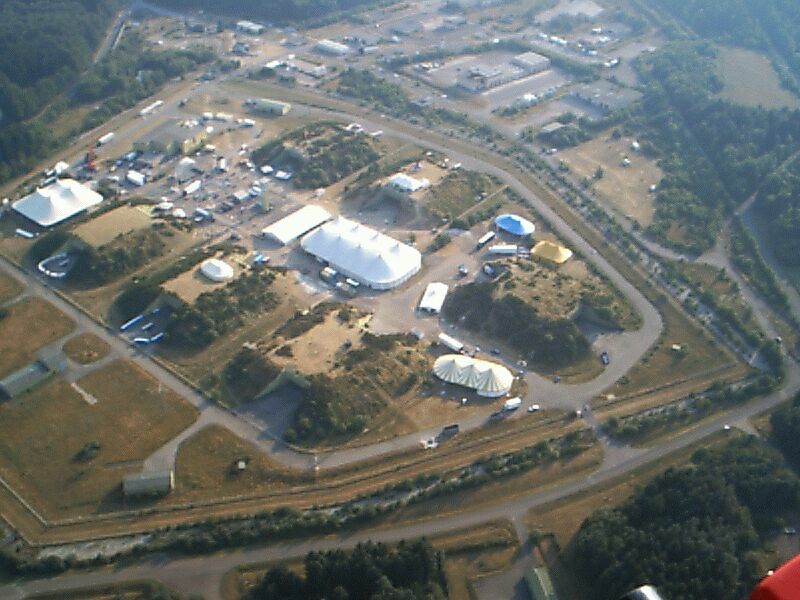 The whole thing is located at a US Missile base called “Pydna”, now decommissioned which has all necessary infrastructure and space for this kind of festival, a total of 100,000 sq meters (without camping, which takes up more than 1 km²). Thousands of people, one message: happiness. You experience it individually – and yet together. Isn’t the spirit of the music we all love so much already here? Isn’t that NATURE ONE? Isn’t that the message hiding in “wake up in yellow”? After all, it’s about tolerance and freedom, fun and summer, and about the passion for electronic music. Who doesn’t know the saying “When life hands you a lemon, make lemonade?” Well, we’re going to make a honey-yellow lemonade! A bubbling mix of beats, melodies and feelings of happiness under the sun and blue skies. The fourteenth NATURE ONE is celebrating this passionate potpourri in yellow with a world premiere: Tiësto, Paul van Dyk, Armin van Buuren, ATB and Ferry Corsten, the five greatest trance DJs in the world, will all be assembled at Pydna, also Sven Väth, Carl Cox, Alter Ego, and more, and more. It’s the clubs’ anniversary – they’ve been coming to NATURE ONE for ten years now: Cocoon (Frakfurt), Energy (Zurich), Thonderdome (Niederland),”Himmelszelt” by BigCityBeats, bigFM & King Kamehameha Klub (Frankfurt), Reverze, Airport and more too. The sun – it shines yellow. The summer – it is yellow. Even the moon glows yellow over the golden cornfields of the rolling Hunsrück hills. And even if it were to pour down – so what? After all, wellington boots are usually yellow too. …is the quintessence of everything you like! So you like the big city because that’s where the party life pulsates?! So you like going out, meeting new people and listening to the best music?! You can do it all here as well – but simply better, with countless small and large parties going on all around you, the widest possible variety of electronic music styles and over 50,000 new people to meet who are all on your wavelength! Which city can offer you all of that?! You like nature, sunshine, fresh air and a cool summer breeze? You’ve got it all here: the beautiful Hunsrück region with butterflies fluttering over its fields, the enchantment of dense forests teeming with wildlife, and the smell of hay wafted by the sun-soaked summer air! You like going on holiday and getting away from it all? Well you can’t get further away from it all than here! You don’t have to put on an act on the NatureOne campsite, you don’t have to do anything you don’t feel like doing; you can simply be yourself! You want to be where it’s all happening? NATURE ONE is the centre of electronic music this weekend. You won’t miss anything here, you’ll be more than just at an event – you’ll be a part of it yourself! Enjoy it! Actualmente estás leyendo Nature One en José Lascano.